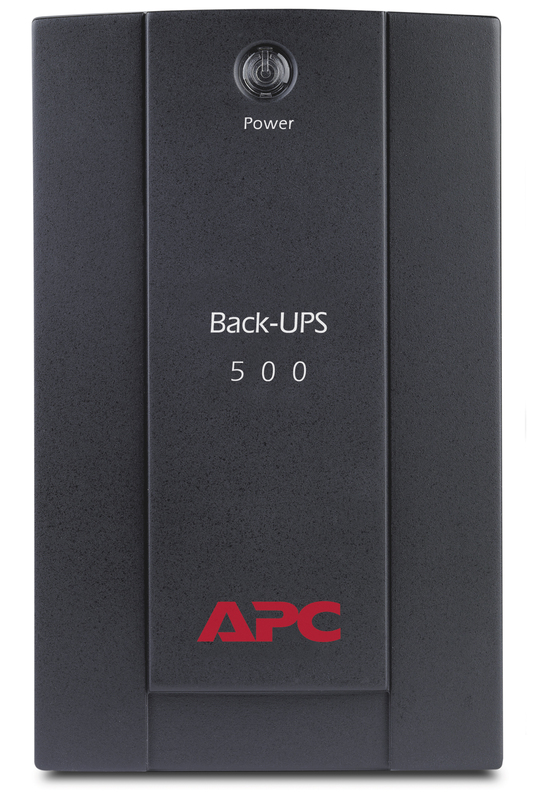 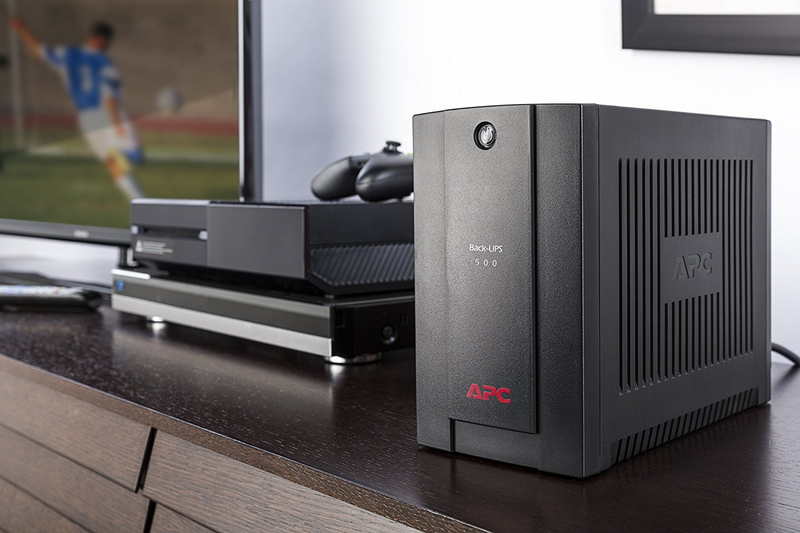 The Back-UPS 500 by APC protects your electronic equipment from damage due to power outages, surges and spikes while providing short term battery power during an outage. 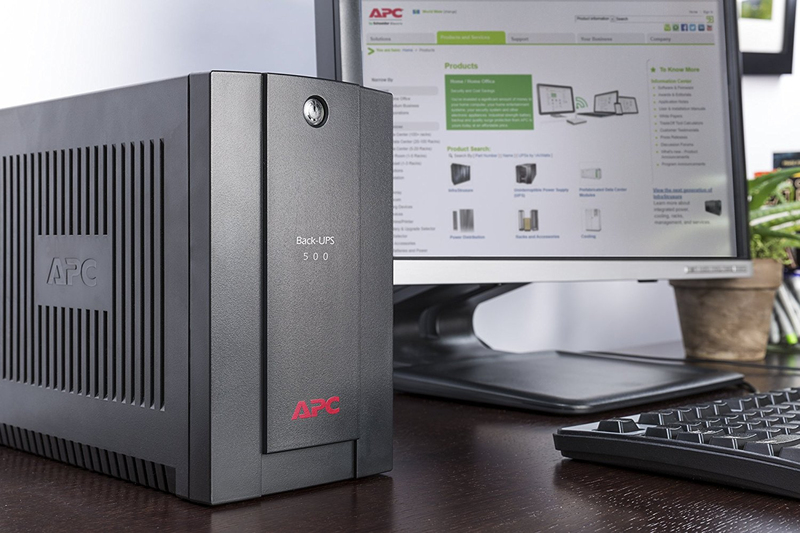 The Back-UPS 500 features Automatic Voltage Regulation (AVR), which instantly adjusts high and low voltages to safe levels for your electronics, so you can work indefinitely through sustained fluctuations. 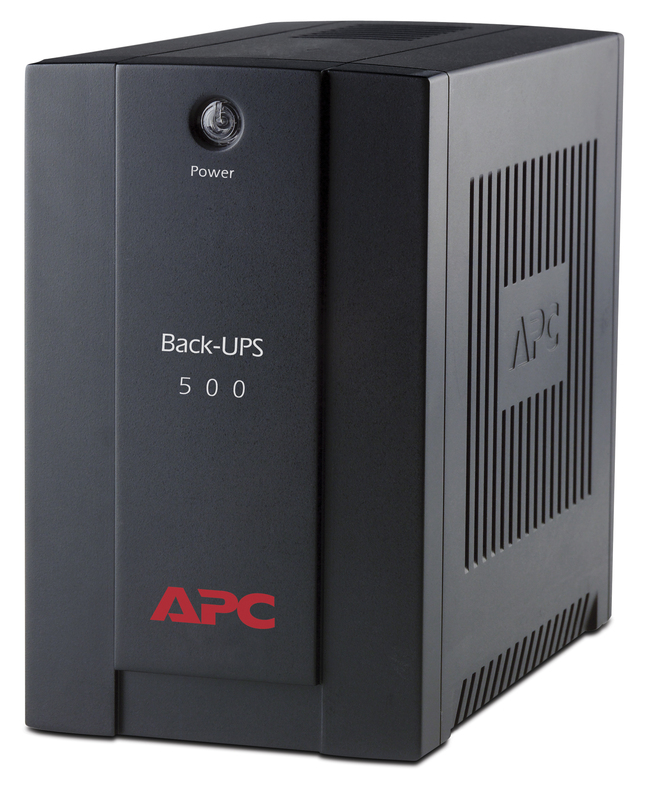 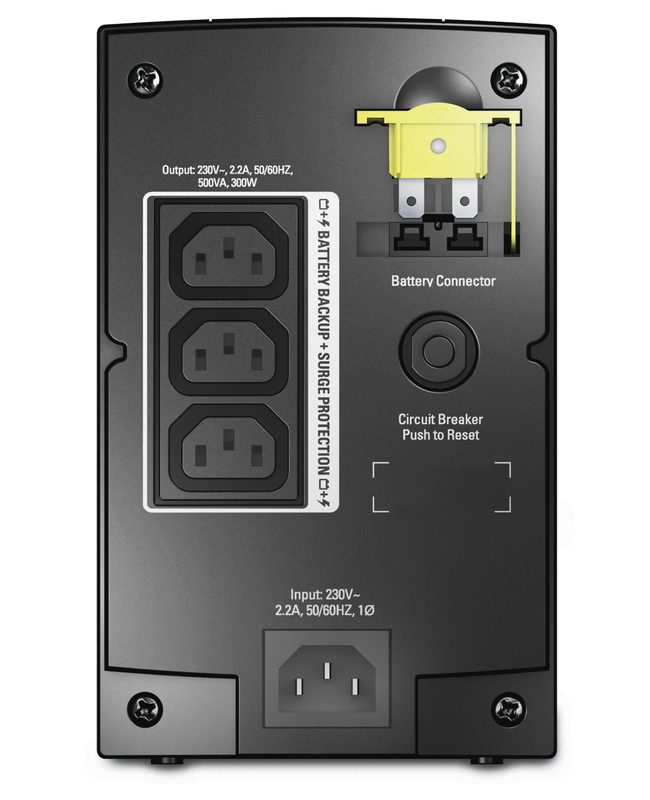 Specifically designed to protect your equipment and network connection in harsh power environments, the Back-UPS 500 ensures maximum productivity and work efficiency.